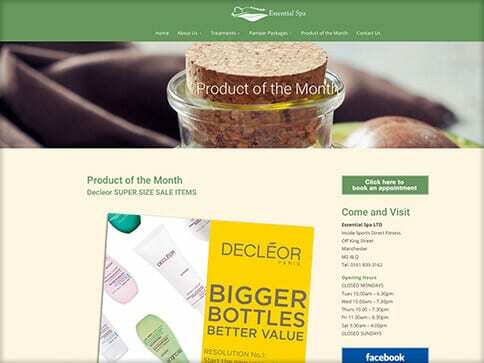 Essential Spa’s website was started to look dated and unappealing to potential customers so they came to us to modernise it. We put emphasis on including lots of bright imagery and it was also important to make it clear that the user can book online. 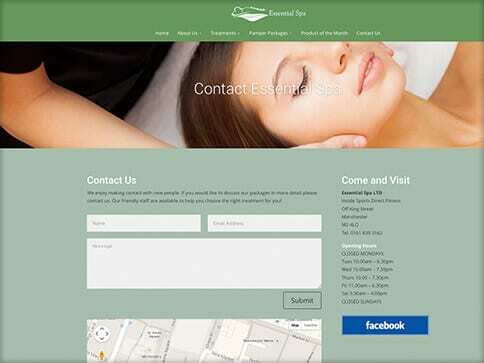 We therefore created a layout that displayed the ‘Book now’ button on each page resulting in much more online bookings!